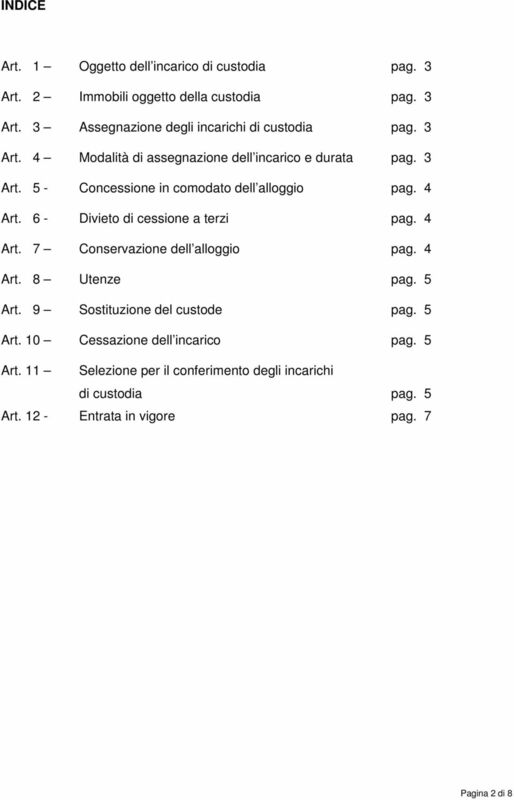 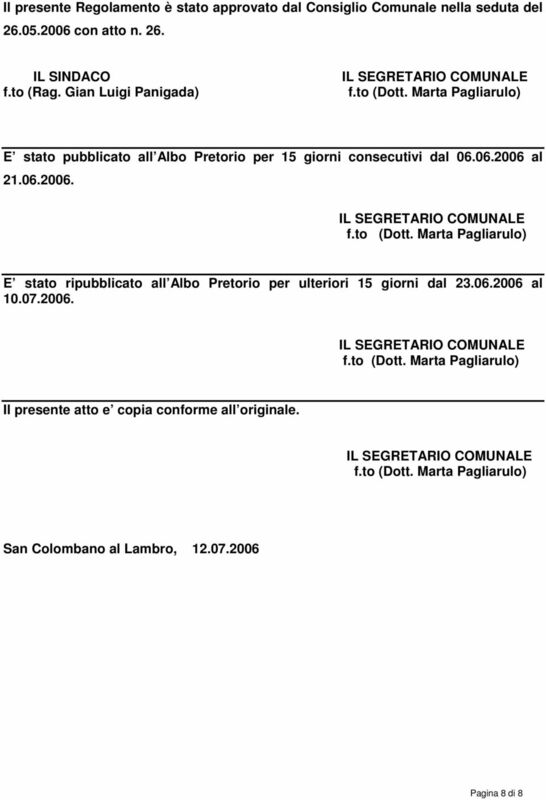 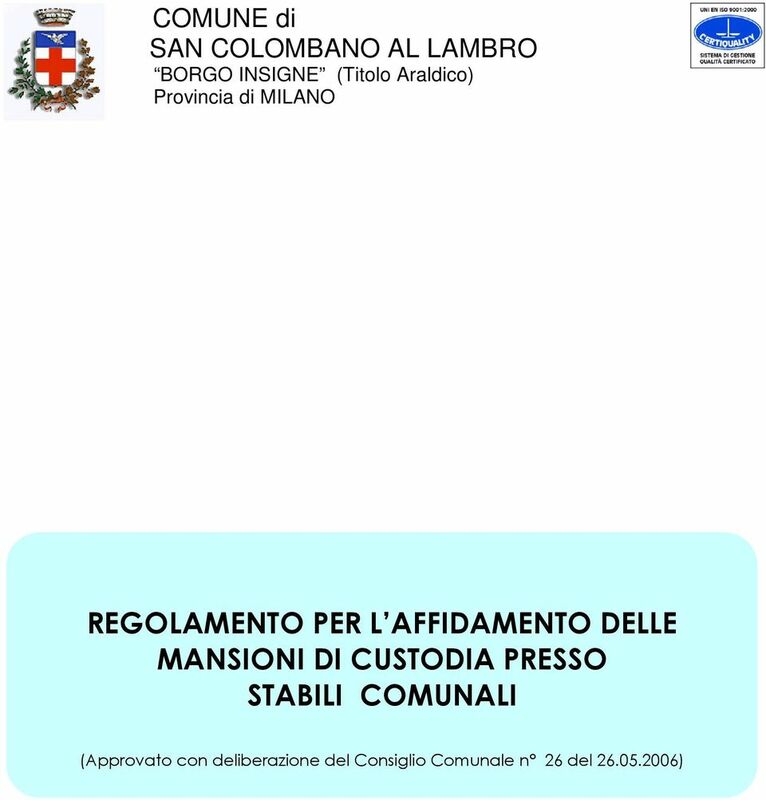 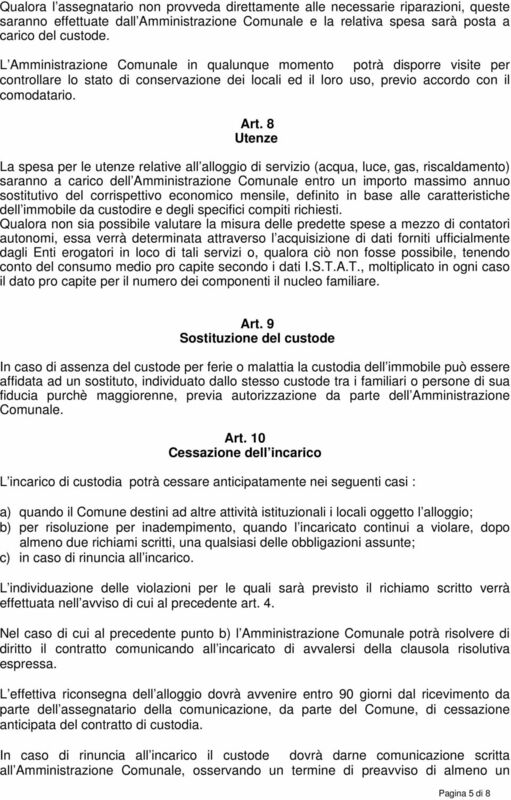 Download "REGOLAMENTO PER L AFFIDAMENTO DELLE MANSIONI DI CUSTODIA PRESSO STABILI COMUNALI"
DELIBERAZIONE CONSIGLIO COMUNALE. 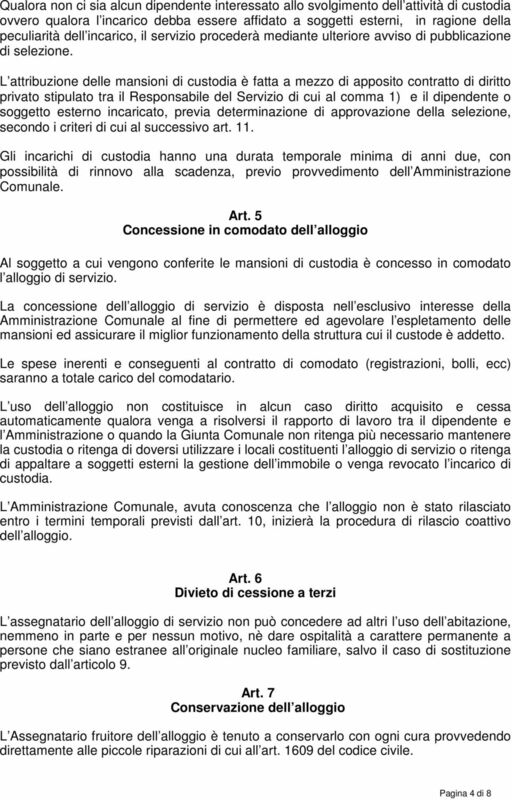 N 041 del 30.05.2013. 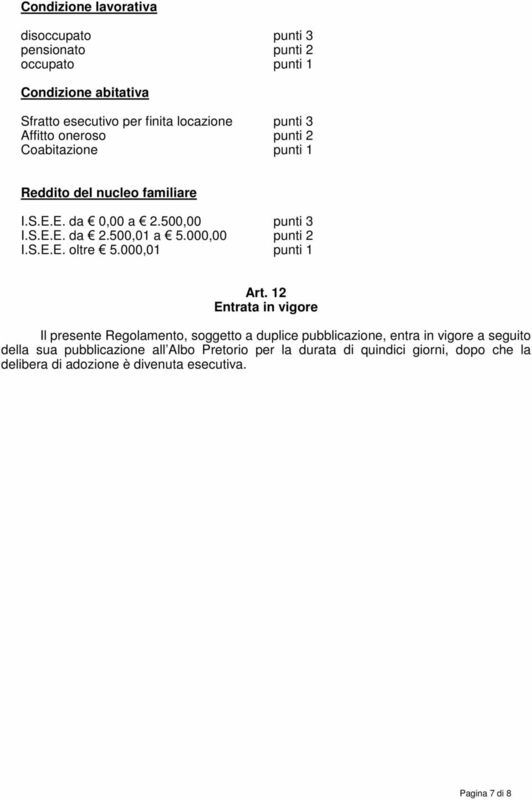 Oggetto: REGOLAMENTO PER L ISTITUZIONE E LA GESTIONE DEL GRUPPO DEI VOLONTARI CIVICI COMUNALI. 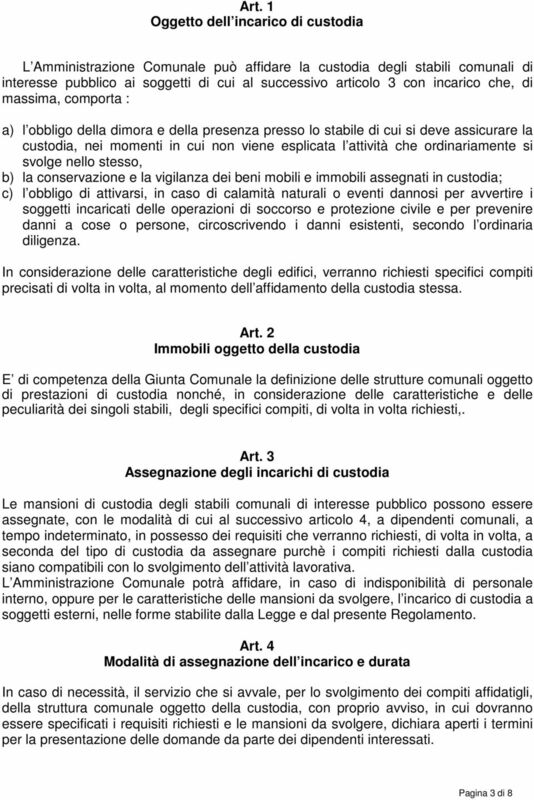 PROGETTO NONNI VIGILI AVVISO PUBBLICO PER CONFERIMENTO INCARICO AD ANZIANI VOLONTARI PER LA VIGILANZA NEI PRESSI DELLE SCUOLE.